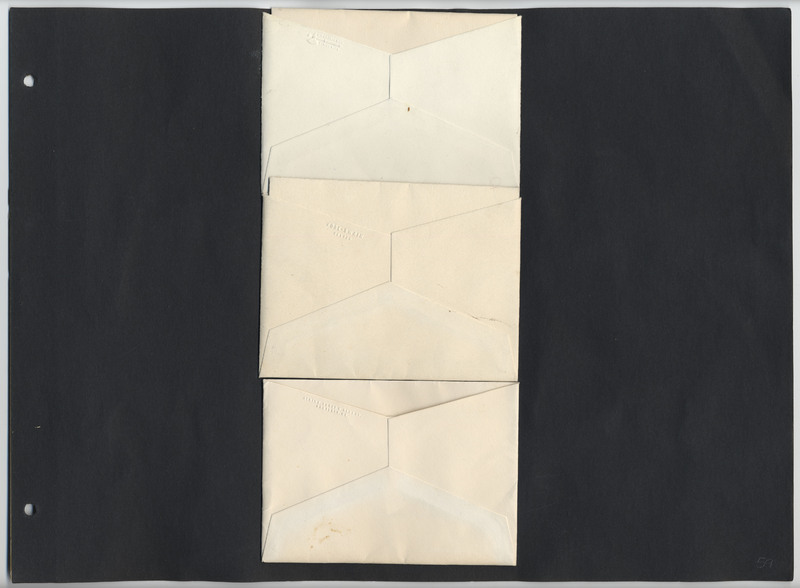 A folded announcement with printed black script, within an envelope which is affixed to a page of the scrapbook. 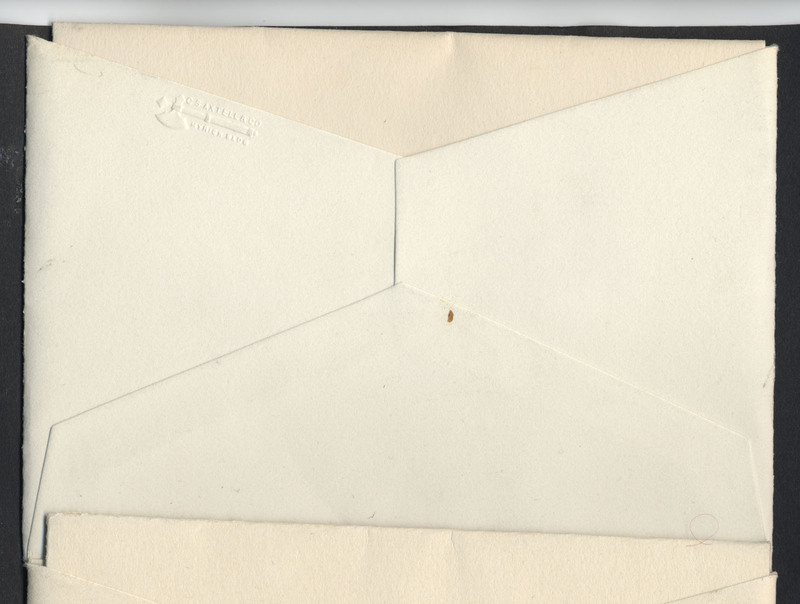 Unfolded: 19 by 13 cm. The paper announces, by Mr. and Mrs. Irving C. Kidder, the marriage of their daughter Ethlyn Mae to Mr. Glendon Babb on Tuesday, September 30, 1924 in Dixfield, ME. 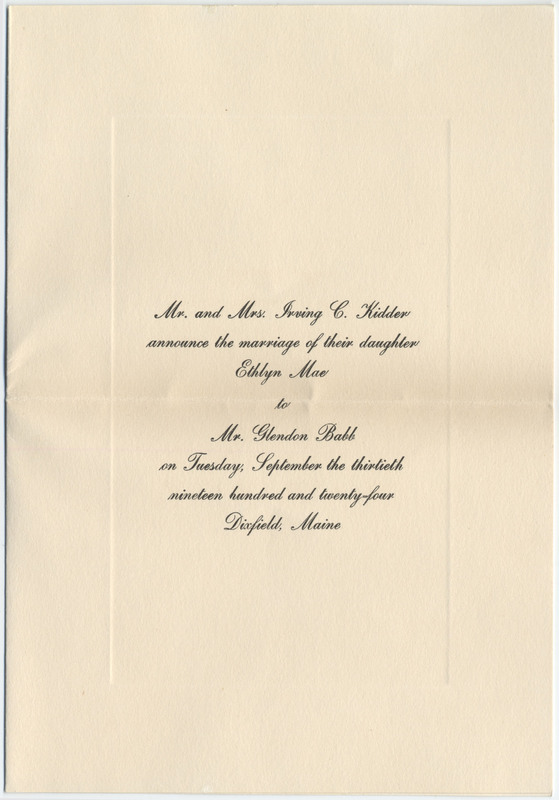 Kidder, Irving C., “Announcement of the marriage of Ethlyn Mae to Glendon Babb,” The Ruth D. Gates Digital Scrapbook, accessed April 19, 2019, https://slis.simmons.edu/ruthgates/items/show/436.